The overall aim of this investigation of Mark 11.12-14, 20ff. is to ascertain the attitude to the Temple taken by the author of the earliest Gospel and his community. More specifically, it is a meticulous study of the most curious of all the Synoptic miracle-stories, in which the place of the story within the Markan redaction and subsequently in the Synoptic Gospels is explored. The study also entails a detailed exploration of the story's origin, background and Sitz in Leben prior to Mark, involving thorough consideration of the Old Testament and Jewish background of its motifs. 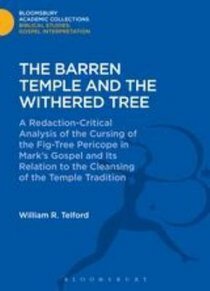 About "The Barren Temple and the Withered Tree (Bloomsbury Academic Collections: Biblical Studies Series)"